While their opponents, Royal Chester ‘A’, were vanquished. Tim Koch reports in his pyjamas. 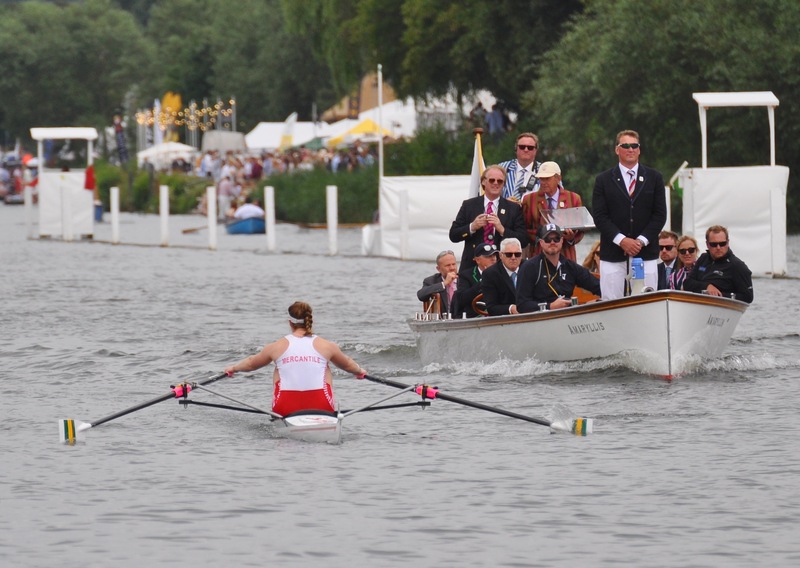 If you are racing at Henley and are winning easily, time passes quickly – and I now know how this feels. As I try got fit in the Regatta’s many social activities, my self-imposed HTBS duties, and boring things like travelling and sleeping, time seems to speed by. 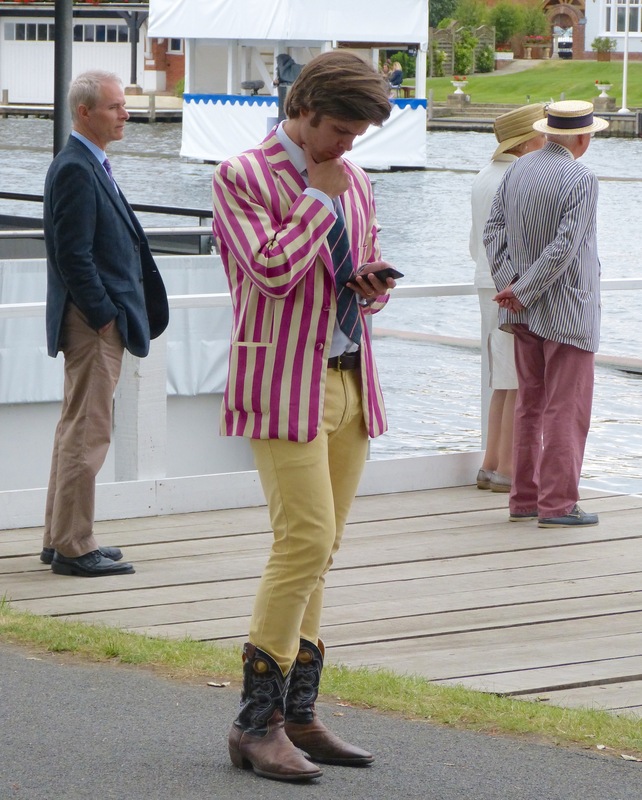 Thus, I continue to reproduce the excellent HRR daily press releases summarising each day’s racing and intersperse them with my pictures (which may not necessarily relate to the text). 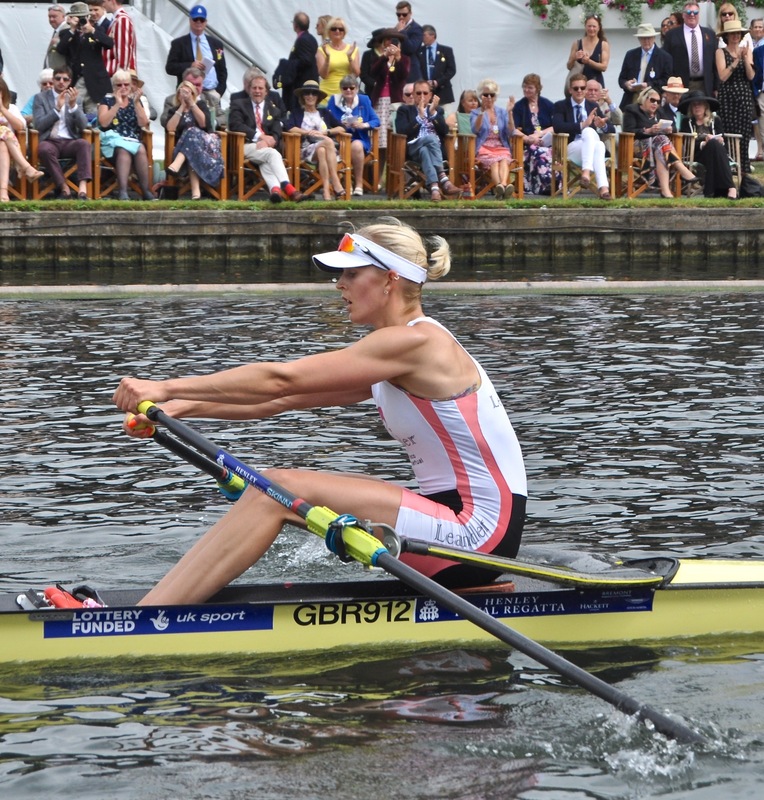 In the Princess Royal, Vicky Thornley, Britain’s most promising female sculler for many years (pictured), easily defeated CLE Plumb, a game sculler from Peterborough City RC. 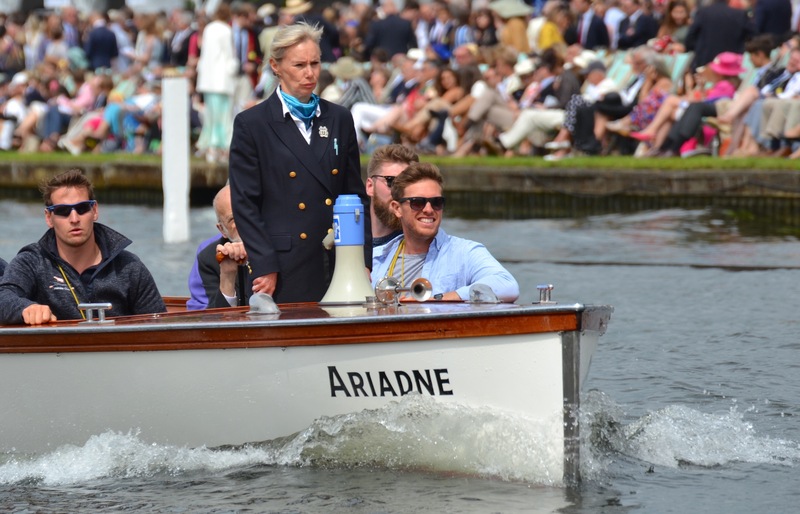 In another round of the Princess Royal, Osborne of Waiariki RC, New Zealand, won…..
…and her opponent, Cleary of Mercantile RC, Australia, lost. 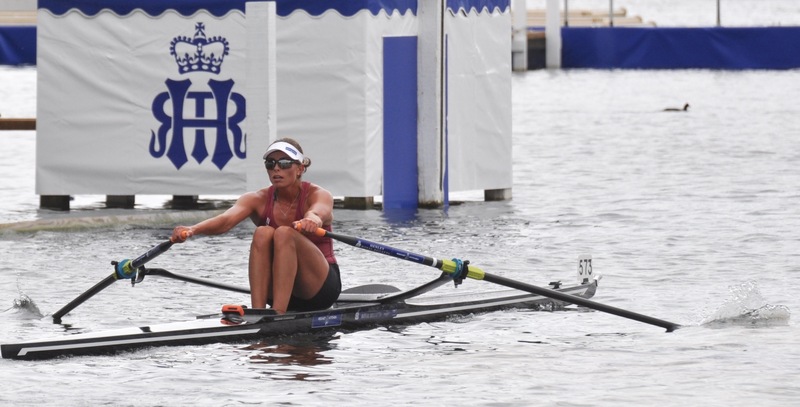 The women’s fours, pairs and double sculls began for the very first time at Henley Royal Regatta on Friday, with several notable crews providing an ideal coronation for the new events. 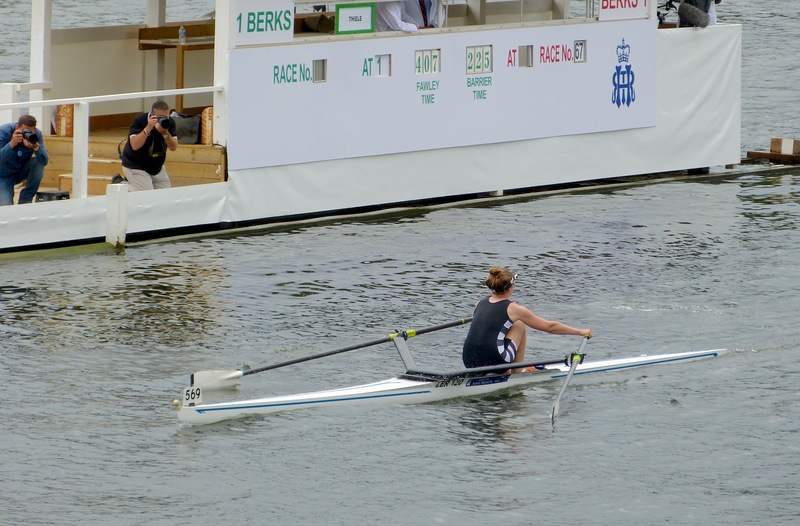 Olympic Champion Kim Brennan raced and won in an Oxford Brookes & Melbourne, Australia combination whilst Grace Prendergast and Kerri Gowler followed up their win at the second World Rowing Cup with a convincing opening display in the Women’s Pairs. In the Princess Grace, Hollandia from the Netherlands (nearest to the camera) beat the University of London. 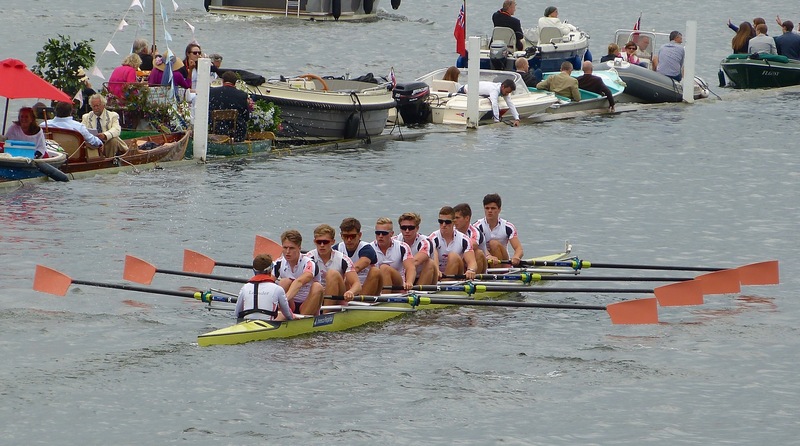 Leander (pictured) beat Latymer Upper School in a heat of the Fawley. 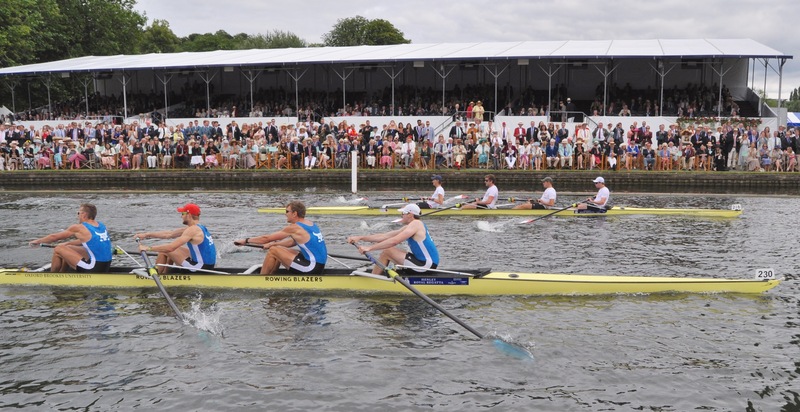 It was a tale of two halves in the Wyfold Challenge Cup, as Commercial Rowing Club, Ireland, led their quarter-final at the Barrier and Fawley before succumbing to a late charge by Thames to lose by a foot. 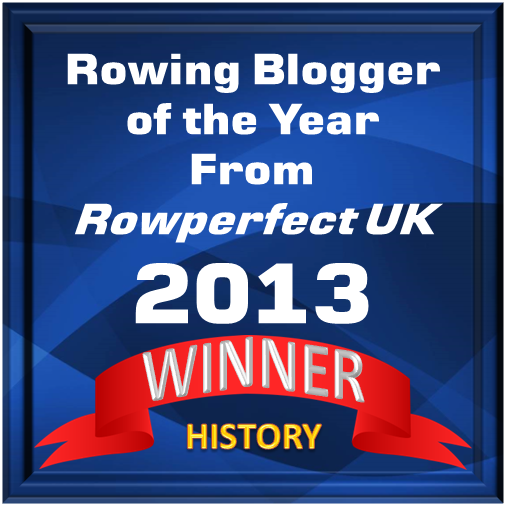 Will Downey from the Thames crew summed up the race by saying: ‘That’s exactly why this is the toughest event to win’. 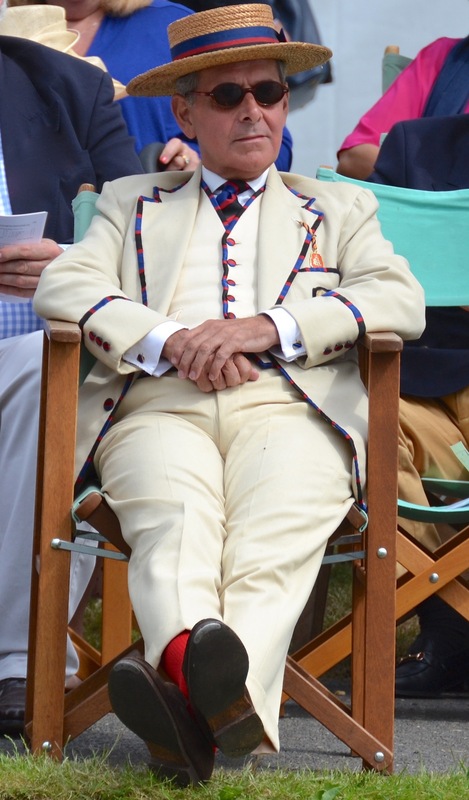 Elsewhere, the Tideway Scullers School withstood an early charge from K.A.R.Z.V. De Hoop, Netherlands, to comfortably win their round while Sport Imperial dispatched Mercantile of Australia. There was better luck for Australian crew U.T.S. Haberfield Rowing Club, who beat home favourites from London Rowing Club. 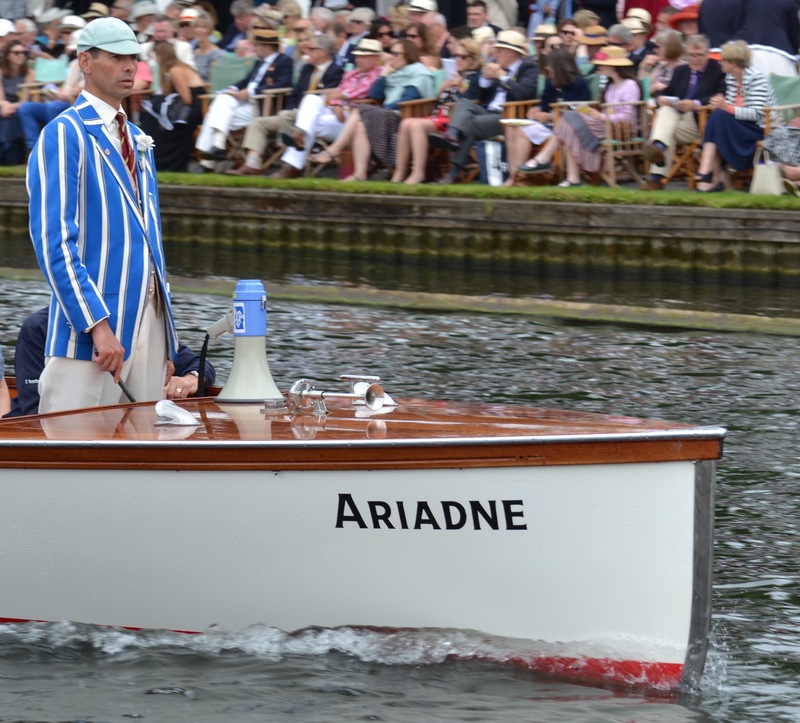 Eton (pictured) beat Deerfield Academy (USA) in the Princess Elizabeth. A close race in the Visitors’ between Taurus (closest to the camera) and California RC (USA). The Americans won by two feet. 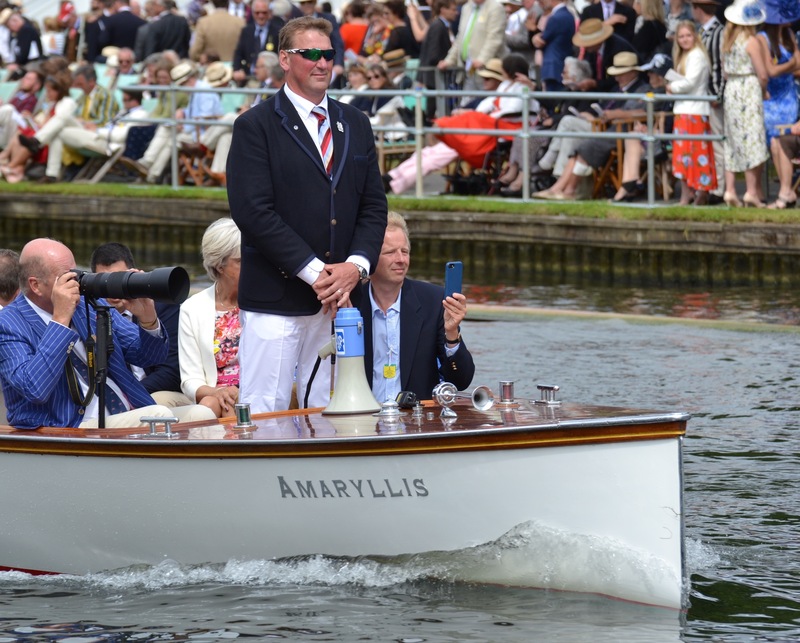 Leander Club managed to equal the well-established record time to the Barrier in both the Visitors’ and Prince of Wales Challenge Cups. F. Mondelli & L. Rambaldi, Italy, broke the record to the Barrier and equalled the time to the Fawley but ended up losing their quarter-final to another Italian crew. Also in the Princess Elizabeth, Radley College (pictured) beat St Albans School, USA. Radley (left) and St Albans at the finish. 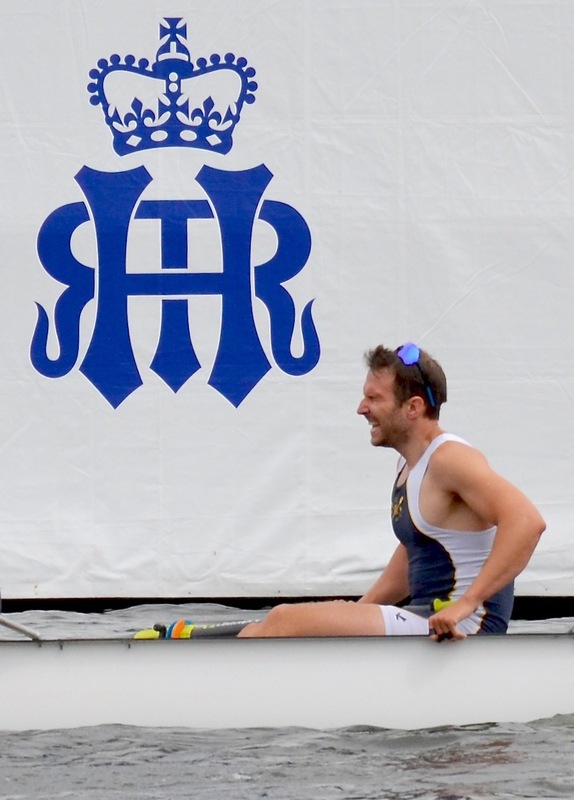 Olympic Champions Hans Gruhne and Karl Schulze, who won the quadruple sculls in Rio last summer, suffered a shock defeat in the Friday’s quarter-final of the Double Sculls Challenge Cup. In one of the more surprising results of the regatta, Gruhne and Schulz were knocked out by fellow Germans K. Steinhubel and J. Rommelmann of Akademischer Ruderclub Wurzburg and Crefelder Ruderclub 1883 E.V. 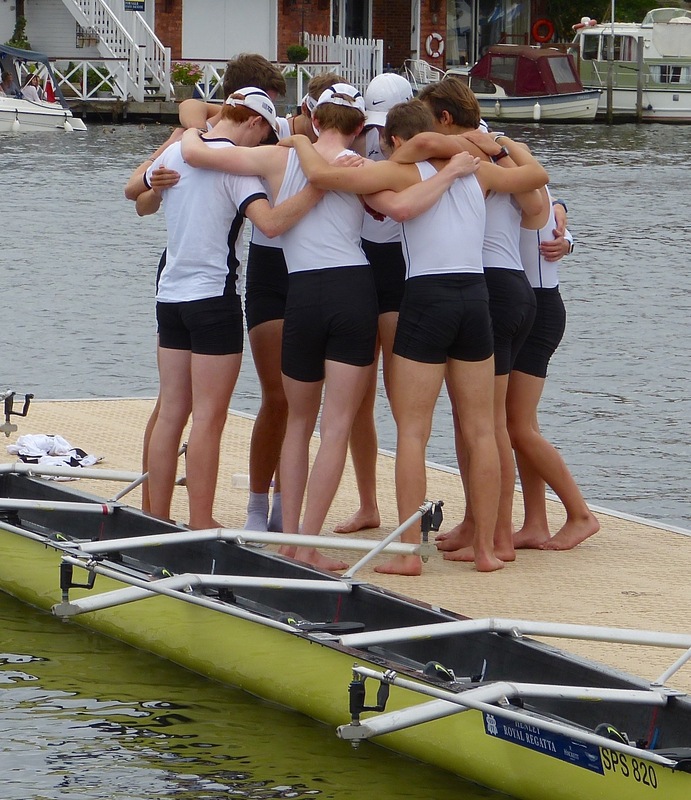 Boys from St Paul’s School, London, after losing by half-a-length to Scotch College, Melbourne, Australia, in the Princess Elizabeth. 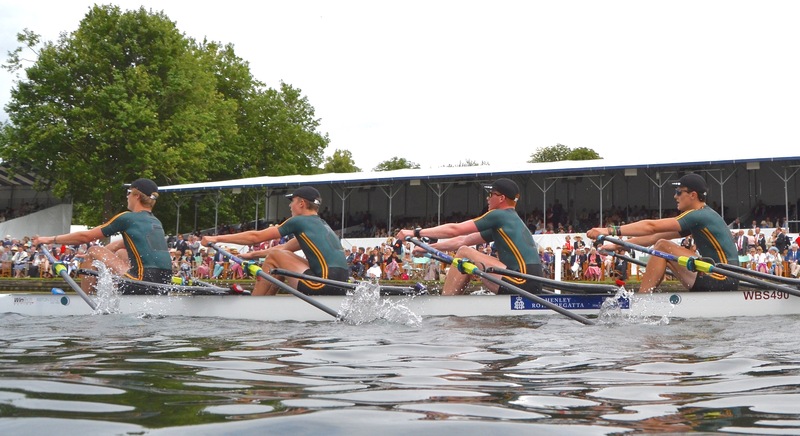 Windsor Boys’ School (pictured) beat Gloucester RC in the Fawley. Leander on the way to the start of their race with RTHC Bayer Leverkusen, Germany, in the Thames Cup. The boys in cerise won. 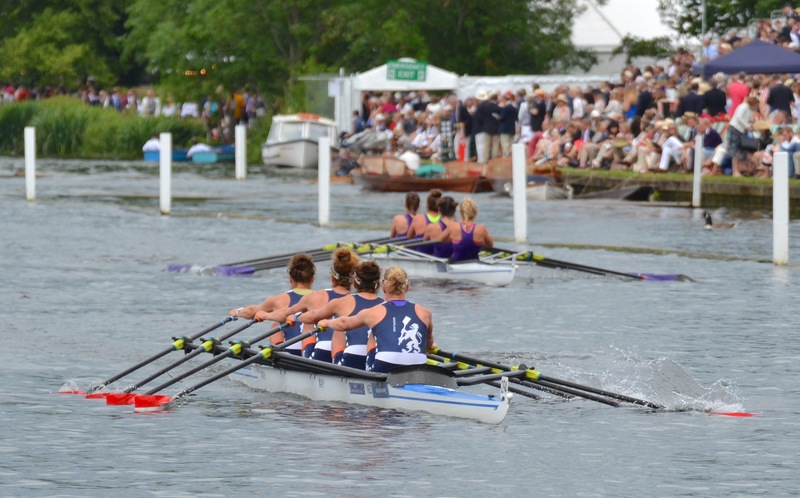 Racing under Leander Club & The University of London, the British Women’s eight were pushed hard by a college crew from Ohio State University, USA. 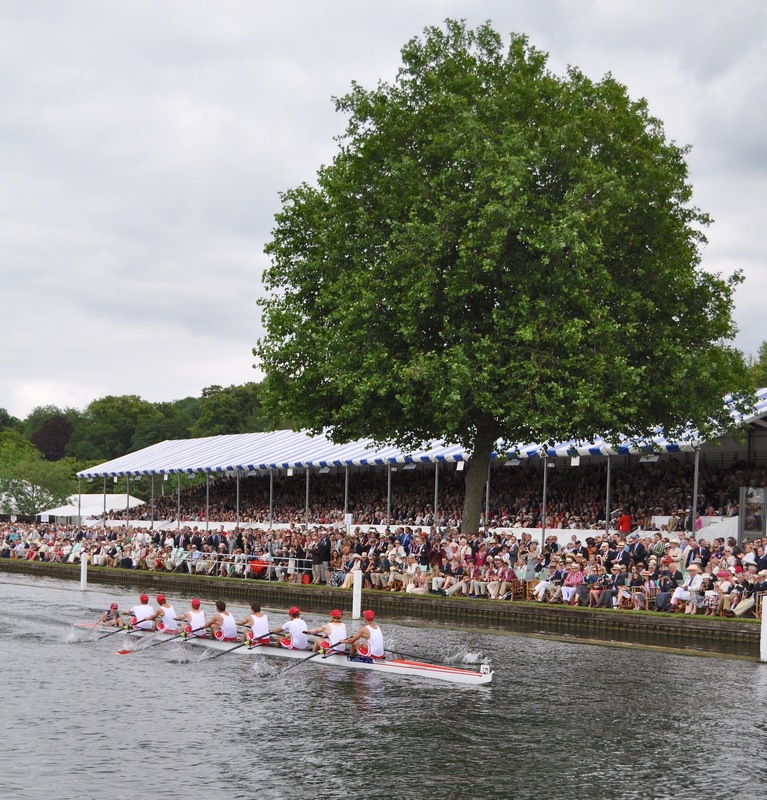 The Americans won Elite Eights at Henley Women’s Regatta and pushed the British all the way, losing out by half a length. Meanwhile, Waiariki Rowing Club, New Zealand, who won gold at the second World Rowing Cup in Poznan, looked imperious as they eased to victory over Edinburgh University. The prospect of the British and the Kiwis meeting on Sunday is certainly enticing. 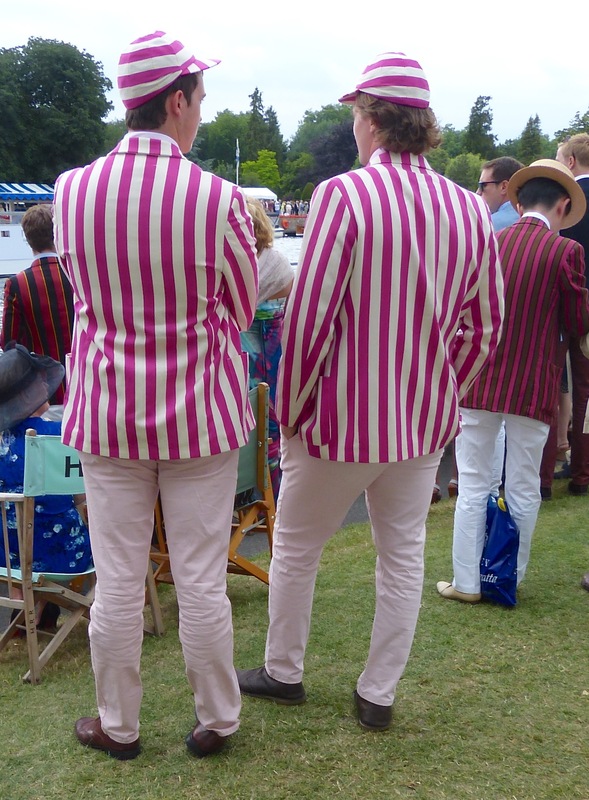 In the Princess Grace, Calgary RC, Canada (left), lost to Reading University (right). Connolly of Leicester RC who lost in a heat of the Princess Royal, beaten by Thiele of Germany. 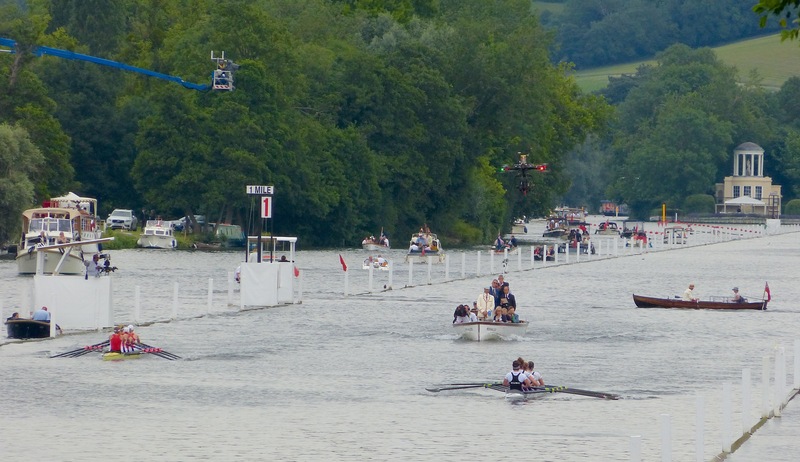 The Saturday of Henley Royal Regatta consistently produces racing of the highest quality, as some of the finest junior, student, club and international crews meet each other on the famous 2,112m course. The Temple Challenge Cup will pit arguably the two favourites against each other, as Oxford Brookes University meet the University of California, Berkeley, USA. 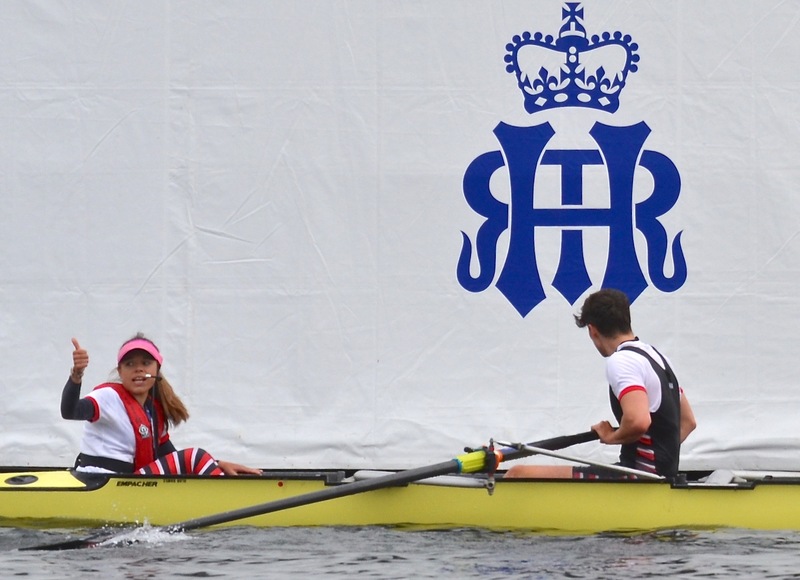 In the junior quadruple sculling events, top crews from the National Schools’ Regatta face each other. 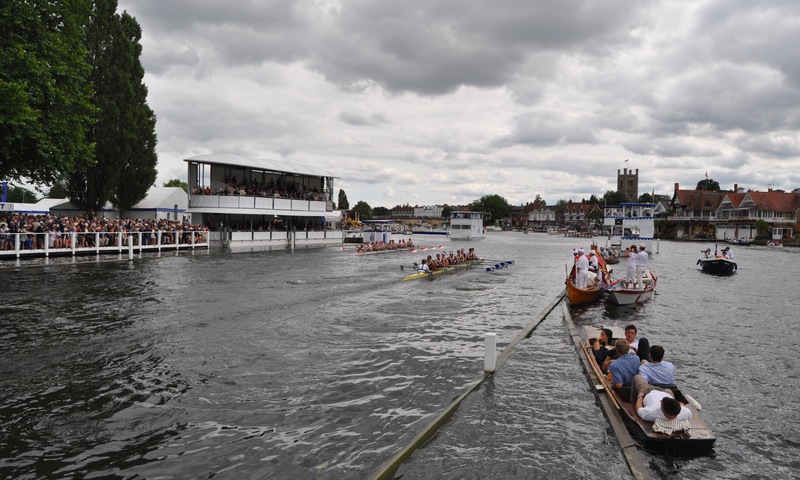 The boys in the Fawley Challenge Cup coming from Windsor Boys’ School and Leander Club; the girls from Gloucester Rowing Club and Headington School. 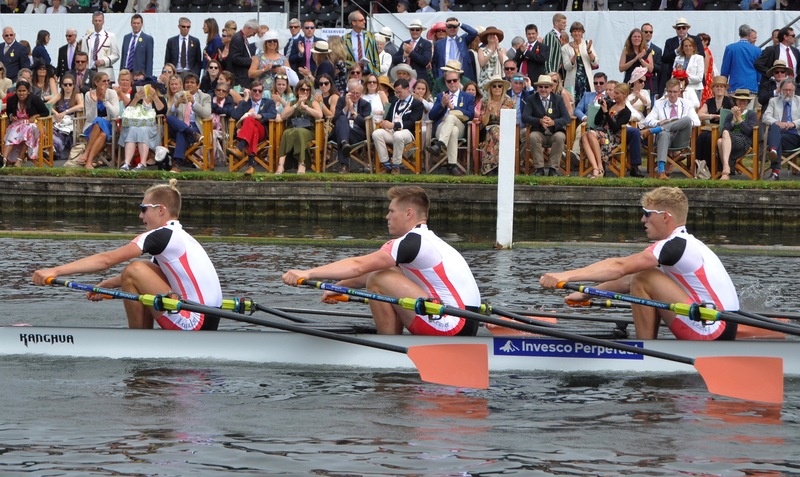 The British men’s coxless four, silver medallists at the second World Rowing Cup, will be in action for the first time in the Stewards’ and in the Grand Challenge Cup the German eight, who are current European Champions. Akademischer Ruderclub Wurzburg and Crefelder Ruderclub 1883 E.V. Great pictures as always! Is there a dress code for the umpires?? Wow, standards of dress are really slipping, in the Stewards launches!